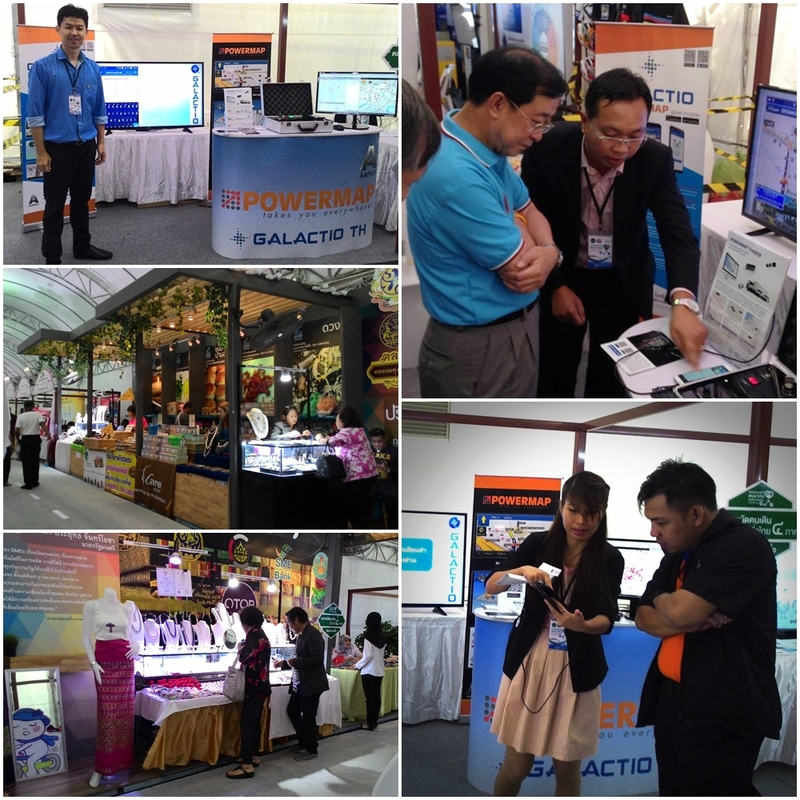 AAPICO ITS (AITS) joined “The delightful Canal, Transportation Links Thailand to the World Exhibition” at KhlongPhadung Krung Krasem on 5 -11 October 2016 organized by the Ministry of Transport. The exhibition is divided into three parts: Security in travel and transport, Innovation and technology in transportation, and the Department's major projects. AITS showcased 2 of its products and services at the event, which gained interest from many visitors and customers who visited the booth. Galactio TH - a free mobile navigation application that uses offline map. When connected to the Internet, it can navigate using real-time traffic information. You can preview your route before you drive and see how traffic affects you. The navigation applications can be downloaded from Play store and App store by searching for Galactio TH or following the below links. POWERMAP Tracking – using GPS tracking device certified by the Department of Land Transport. It can be installed in all types of cars to show its position in realtime, show historical data such as driving speed, driving out the boundary, driver's license ID, etc. You can see all data through the Internet from PC, mobile and tablet.